The water has finally thawed, the days are getting longer, and you’ve started leaving your pogies at home. You’ve dug out your summer training gear, replacing your long-sleeve fleece for a tank top (maybe we’re not quite there yet, but one can dream for warmer weather). Your pride for the calluses on your hands has been rekindled. At last, spring racing season is upon us. The USRowing National Selection Regatta I this week marks the beginning of our racing season for the year and the first selection regatta of the 2016 cycle. The Women’s and Men’s 1x will be raced as part of NSR I, while the Men’s 2-, Women’s 2-, Men’s 2x, Women’s 2x, Men’s Ltwt 2-, Women’s Ltwt 1x, and Men’s Ltwt 1x are Speed Order Events. 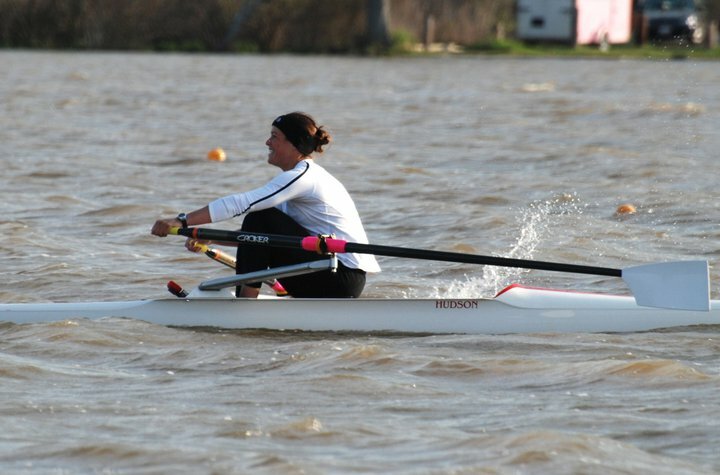 This year’s Women’s 1x event lists 18 athletes from seven different clubs/affiliations. When racing the single, race prep becomes a personalized process, one you figure out and fine tune with the more experience you gain. Being a member of the United States Rowing Training Center, we have our prescribed workouts and scheduled practices as a team, but everyone approaches race day (or week) in their own unique way. Looking ahead to this week’s racing, I couldn’t help but think back on the handful of races I have under my belt. My first National Selection Regatta was only two years ago. I had been rowing all of maybe four months total…as in ever before in my life; my time spent in the single alone amounted to three, maybe four weeks. I remember launching for the W1x Time Trial from the dock at Mercer Lake, white knuckles wrapped tightly around my handles, my shoulders probably up near my ears, and thinking to myself “just don’t end up IN the water.” The weather that day was absolutely terrible and worsening by the minute. By the time I lined up to head down the course, white caps were ripping across the lake. I was terrified. I took 31st place out of 33 racers that day. Needless to say I did not get to advance to the heats, but I had completed my first run down a 2,000-meter course in my single and met my personal goals of: 1) not flipping; and 2) not placing last. Everyone starts somewhere, right? Check out the picture below that I found from the 2011 NSR. I think the expression on my face sums it all up rather nicely. Fast forward two years later and so much has changed. Now that I have a little more racing experience and a higher set of expectations for myself, my approach to this year’s NSR is slightly different from 2011. While I won’t give away any training secrets or divulge too much of my own personal secret sauce, here is a very general approach to racing prep and getting ready to go fast. You’ve heard it from your coaches a million times over: hydrate, hydrate, hydrate. The tricky part about being hydrated is that you can’t take care of it in a day. It’s a process and something you have to be consistent with. Waking up on racing day and downing a couple of gallons of H20 won’t exactly do the trick. Not to mention you’ll wear yourself out running to the bathroom 10 times before you even get to the racecourse. Hopefully you’ve already developed wonderful hydration habits, but heading into race week be extra diligent about putting those fluids into your body. I try to make sure I always finish the water and/or Gatorade I pack for training sessions. In between practices, be mindful of continuing to hydrate. For some people, water can be boring so try to spice it up a bit with (healthy) things you like to drink. This will make it easier. 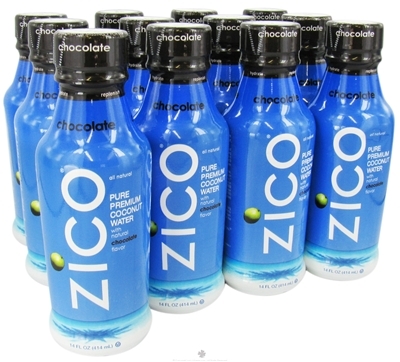 Personally, I like to stock up on ZICO chocolate flavored coconut water. It’s been a little bit colder the past few days so I’ve been fixing myself lots of tea and decaf coffee. Keep a water bottle by your bed at night. Sip on it as you’re reading or watching TV before you fall asleep. If you wake up in the middle of the night thirsty or to take a trip to the bathroom, you already have some water handy. This is hopefully a no-brainer. Rowers love their sleep, and with good reason. Rest and sleep is vital to the body’s recovery process and replenishing energy stores. Plan ahead and try to clear your schedule as much as possible during race week so that you aren’t caught staying up late with work or social engagements. Set a hard bedtime and stick to it. Try to adjust your sleeping schedule in advance so that you don’t throw your body off too much during race week (it’s already dealing with enough having to push through possibly multiple 2,000-meter races). So if you know you have to be up at 5am every morning during race week–and you’re not used to waking up at that time–start waking up a little earlier the week leading up to racing (and theoretically going to bed sooner so that you aren’t losing sleep). An obvious one but perhaps one of the most important. Fuel your body with foods you know it runs well on. This can be a bit of a trial and error process for racing but you know your body better than anyone else. Get plenty of protein, carbs and eat your fruits and veggies. If you’re traveling to a race and staying in a hotel, try staying in one that has a kitchen (or microwave and mini fridge). That way you can stock up on plenty of snacks and easily accessible food that you prefer. Relying on eating out at restaurants can be exhausting (not to mention expensive) and sometimes limits you to food choices you wouldn’t normally make. You’ve spent all this time training and preparing your body, now make it even easier on yourself by preparing yourself with the easy stuff. Know the regatta rules, course traffic pattern, race times, etc. Take the time to research about the course: what kind of body of water is it? Is there a current or flow? What are the weather conditions supposed to be like during racing? In racing, there are many factors you can’t control, but at least you can control how you prepare for them. Visualization; meditation; imagery; mental rehearsal. Not everyone buys into these tactics, but they have been proven to contribute to many athletes’ success. Whatever term you use for it, the mental practice of seeing yourself in the race can help you to better prepare for when you are actually in the race. Rehearse your race plan, imagine yourself at the start line, visualize your moves and how you’ll react to any unexpected events that could possibly occur during the race. If you catch a crab off the start or find yourself a length down going into the last 500 meters, you’ve already mentally experienced this and know how to handle it. Why not train the mind as we train the body? Keep up with your stretching routine, get a massage, ice those nagging ailments, and spend some time on the foam roller. These are all things that are hopefully already a part of your routine. With endurance sports like running, cycling, or in this case, rowing your body is your most important instrument. Keeping your body fine-tuned requires a lot of work. Taking the time to properly warm up, cool down, and manage any injuries is just as important as eating right, hydrating, and training hard. Contain the crazy…but not too much. Everybody handles the “taper” differently. Not everyone tapers for racing, but if you do and if you have in the past, you may have experienced what I call the “crazies” caused by the excess energy you have from a few days of lighter training than you’re used to. Some people feel great, some people feel pretty crappy, and some people don’t feel any different than they do during a normal training week. Be prepared to feel bored, loopy, antsy, and even moody. Find a new show to watch or rent a few movies, buy a new book, pick up a new hobby like knitting or download Words with Friends or Scrabble on your smartphone; I promise you’ll become addicted. Most importantly, positively channel the energy and be able to unleash it all on the water. Finally, enjoy the experience. It’s racing! As rowers we train, train, train. Relative to the time spent practicing, we have very few opportunities to actually race. Relish the chance to put all that hard work to use. Go fast.